While Rodgers will undoubtedly have his spot in the hall of fame and has some better stats than Brady, his one Super Bowl compared to Brady's six will always hold him back. 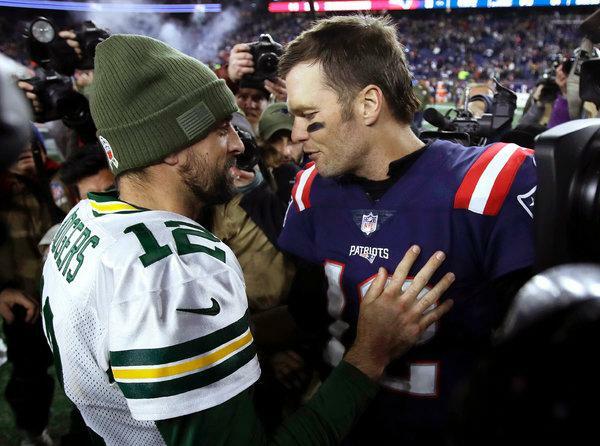 Now especially after the release of this article, it became clear why Rodgers, while physically better than Brady, struggles to go the distance. It has always been a point in Brady's legacy to make good relationships with his receivers, and this has carried onto the field as well. He is no stranger to holding back his emotions and frustrations with his teammates, but will never give up on them. This really shows the difference in leadership abilities and why Brady has a far better career track record then Rodgers.